Viber is a free way to communicate with anyone else who has installed the app, which makes it easy to get sucked into a conversation and reveal information that you probably don't want floating around out there. Maybe you even go so far as to accidentally send the wrong message to the wrong person. No matter. The latest version of the Android app will let you remove a message from the devices of everyone in the conversation. As for stuff you actually want to share, you can now send more of it. Tapping the plus icon when typing a message will provide the options to send a photo, video, doodle, location, contact, or file (pictured above). Here you can also hold down a button and leave a voice message. 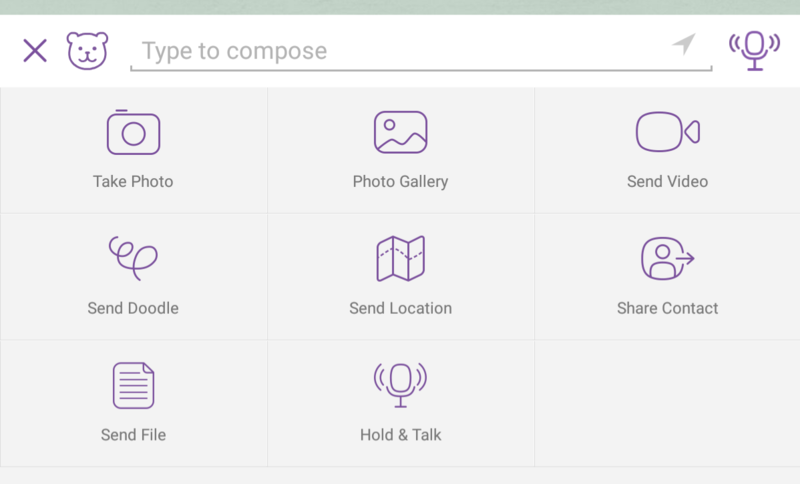 Viber 5.6.5 is rolling out now. You can grab it from the Play Store below.